Designing an eco-friendly landscape is the first step toward making your Rancho Santa Fe yard beautiful and drought tolerant. The next step is to perform regular maintenance to ensure your plants stay healthy. Yard maintenance can be an overwhelming responsibility, depending on the size of your property and the amount of free time you have. If you want to keep your garden looking lush and beautiful without lifting a finger, hire Eco Minded Solutions for landscape maintenance in Rancho Santa Fe, CA. For pruning, irrigation repair, plant inspections, and other landscape maintenance services in Rancho Santa Fe, please call Eco Minded Solutions at 858-799-0032. Irrigation services: With the low annual rainfall here in Rancho Santa Fe, the area can be categorized as a desert. Of course, the nearby ocean produces mild winters and warm summers for a somewhat tropical environment. This blend creates a unique microclimate that requires water conservation. Whether a water restriction is currently in place or not, we’ll make sure your irrigation system is working as efficiently as possible. We’ll check the sprinkler heads, sensors, and water lines for leaks or malfunctions and perform any necessary repairs. These are just a few of our landscape maintenance capabilities. If you’re looking for a service that isn’t listed here, contact us to learn more about our landscape maintenance services in Rancho Santa Fe! 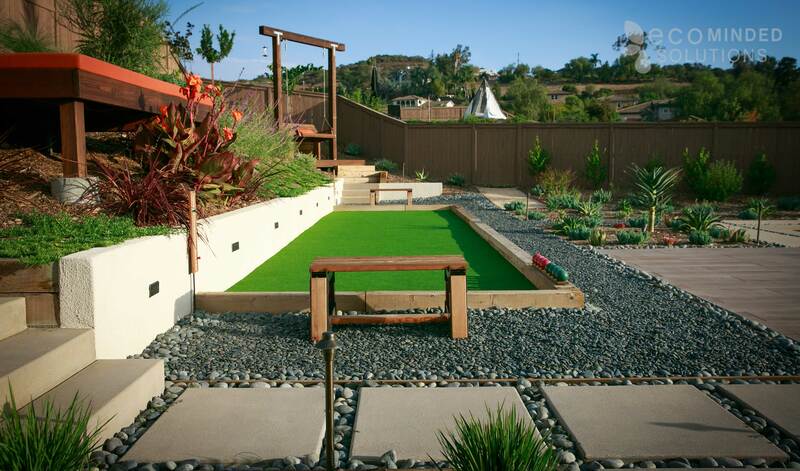 Our goal is to design eco-friendly, low-water landscapes in Rancho Santa Fe. Then, we help homeowners maintain the health and beauty of their yards with comprehensive maintenance. If you decide to utilize our services, we’ll customize a landscape maintenance plan based on your needs. This way, you only pay for the services you don’t want to handle yourself. Rest assured that your outdoor space will thrive under our expert care. To schedule professional landscape maintenance in Rancho Santa Fe, contact Eco Minded Solutions today!